A 5 minutes sketch for day 9:) Nothing better then a day at the hairdresser. Hee hee, cute! 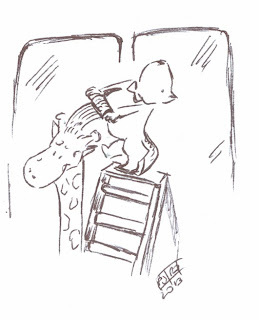 Does the giraffe get a neck rub with that? Hey this is great! Ha ha! so funny! Very cute, you can really sense the movement! great!! 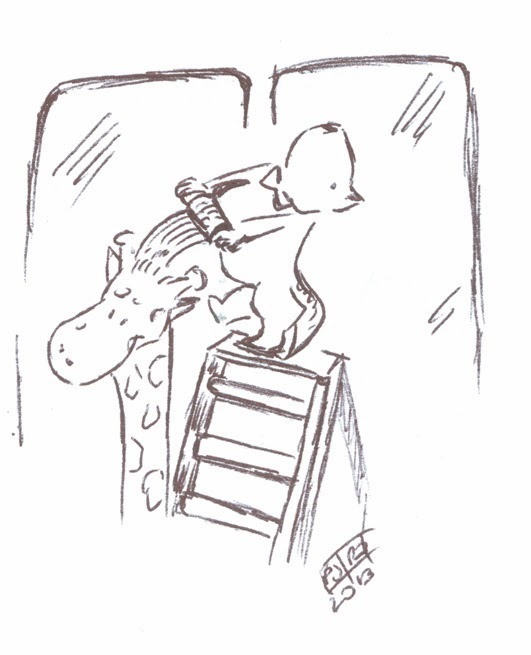 it´s nice that the giraf can be himself at the hairdresser and the bear climbs a stair for him!! the giraf looks very happy!